SEO is a complex process that involves addressing a number of onsite and offsite factors. Search engine optimisation (otherwise known as SEO) is the practice of improving a website’s positions in the major search engines. A website that ranks highly for keywords that are relevant to its products or services will gain more exposure in organic search, which will ultimately result in more web traffic and higher conversions. From optimising your page content to acquiring high quality backlinks from other relevant online communities, there’s a lot to consider when setting up a website for search success. Our suite of SEO services is designed to provide you with comprehensive outsourcing solutions, allowing you to continue expanding your company safe in the knowledge that your SEO campaign is being managed by experienced consultants. Almost all of the high-ranking websites and businesses in search are taking active steps to promote their website and improve their online image. 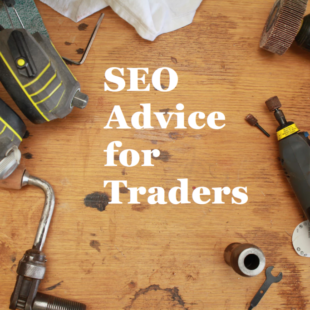 So if you want to compete for the attention of your online customers, you need to be investing in SEO. 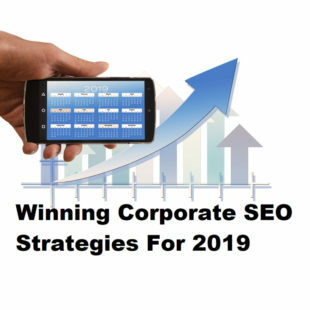 Thankfully, though, search engine optimisation services are no longer only available to large organisations with more accommodating marketing resources – in fact, tailored SEO campaigns are accessible to all companies thanks to a much more flexible and holistic approach that’s now adopted by SEO agencies like ours. Our job is to develop a suitable strategy that is achievable within your budget. How do you choose an SEO company? Choosing the right company to develop and implement your SEO campaign is vital. There are plenty of agencies vying for your business, but if you’re looking for a new provider, it’s important to think about the kind of relationship you want to have with your chosen SEO company. Are you happy for your SEO agency to take the lead, or would you like to be heavily involved in the search strategy? Would you prefer to stay in touch via email, or would regular face-to-face reviews be more beneficial for your team? Do you want a search engine optimisation service that focuses solely on link building, or do you want your consultants to look at the bigger picture? We ultimately believe that a search engine optimisation company should work hand-in-hand with its clients to maximise all marketing opportunities. Our experienced staff can advise on all aspects of SEO, including onsite and offsite elements, which makes us the agency of choice for firms who are seeking a comprehensive consultancy experience and, more importantly, the best possible results. At FSE, our approach is completely tailored to your own requirements. Our clients don’t view us as a supplier – we’re an extension of their company; a marketing partner. It’s our hands-on, personalised search engine optimisation service that has ensured we are the SEO company of choice for hundreds of clients from a huge range of industry sectors. “Organic search” refers to searches that have occurred naturally through traditional search engines such as Google. Despite an increase in social media referrals, organic search still accounts for well over 50% of website visits. The algorithms used by major search engines get more complicated every day. For example, Google uses more than 200 signals to rank websites – and there is almost constant change in the signals it uses and the way that it uses them. Today, if your website and content are not properly optimised, it will be next to impossible to achieve good rankings in search engines – and that means traffic from organic searches will be directed towards your competitors. SEO is not just about increasing traffic to your website. Better rankings add credibility to your brand and send out a signal that you are a key player in your industry. Companies appearing on the second or third page of a search result can give the opposite impression, leading to assumptions that they are insignificant or a new entrant. With increased usage of mobile devices year-on-year, it is also important to ensure your site and content is optimised for use across all platforms. Good SEO means a better user experience and more satisfied customers, and also ensures your content is compatible with the specific search criteria engines such as Google use for mobile devices. We appreciate that each of our clients is likely to be at a different stage of their SEO strategy. Some webmasters will be starting from scratch, whereas others will be looking to update and refresh an existing SEO campaign. Many webmasters may even be trying to reverse a Google penalty, or perhaps clean up their link profile in order to comply with Google’s best practice guidelines. Developing a suitable campaign is certainly not a one-size-fits-all scenario, which is why we offer a wide range of SEO services to cater to the on-going needs of any business, including SEO training and consultancy packages for internal marketing teams.